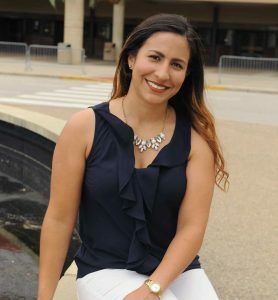 This article originally appeared on the SkillsUSA website at https://www.skillsusa.org/success-stories/angibel-tome-martinez/. Or to put it bluntly, “when I graduated high school, I found out the hard way that I was an illegal immigrant,” she explains. Born in Venezuela, Tome-Martinez was only 9 when her mother came to the United States with two children in tow. The family embraced everything American. Her older brother is a now a successful businessman. Two siblings were born here: a brother who excels at playing baseball and a sister, a Navy Junior ROTC student, who plans to serve in the military. While “Angie” was bright enough to skip second grade in her native country, she says “learning was a struggle” in her new home near Atlanta. There were cultural differences, too. Girls were expected to grow up faster here, but she kept her Barbie dolls in her school locker until she was 14. “I was called a baby a lot,” she adds with a wistful smile. The shocking discovery set off a decade-long journey for the aspiring attorney to get her career back on track. “I went 10 years battling through the immigration system so I could adjust my status here,” she explains. Now 28 and a criminal justice student at Chattahoochee Technical College in Acworth, Ga., Tome-Martinez uses her experience to help others. She recently opened her own business to help families navigate the legal immigration process. Again, she speaks from experience. Married at 19 but left as a single mom with two children, to pay the bills Tome-Martinez took jobs as a paralegal and as a hotel banquet captain. Her website, GetIFLA.com, states that even one mistake on the immigration paperwork can result in the denial of an application or even deportation. But except where a criminal record is involved, an experienced paralegal can usually help people work through the process, she says. “Yes, there are illegal immigrants that are criminals, but certainly there’s plenty of us that would willingly and lovingly provide and give back to the community.